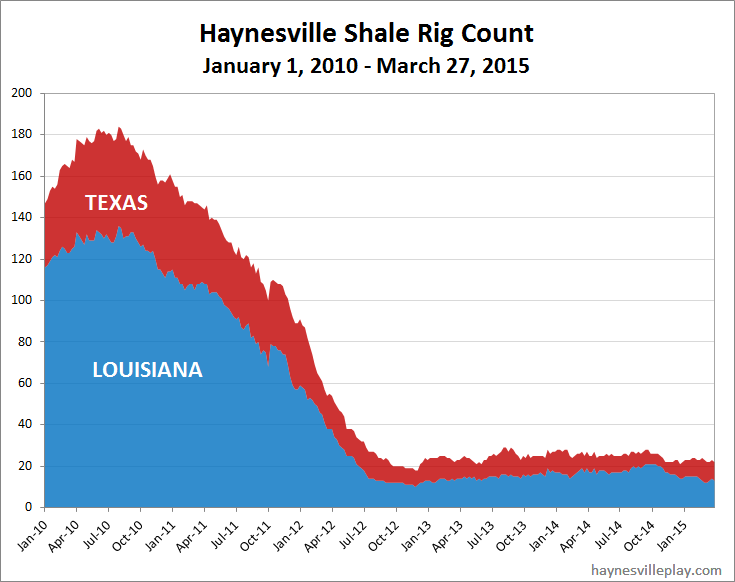 Last week, the Haynesville Shale rig count was down one to 22. 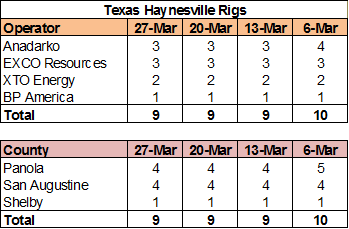 Louisiana was up one to 13 (EP Energy up one, Chesapeake and Comstock both down one) and Texas was unchanged at nine. Last week marked the return of EP Energy, formerly El Paso, to drilling the Haynesville Shale for the first time since March 2012. 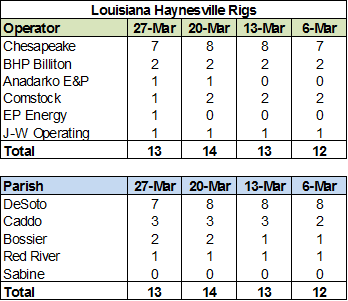 EP was never a huge player, maxing out at six rigs, but they were a consistent four to six rig player in 2010 and 2011.